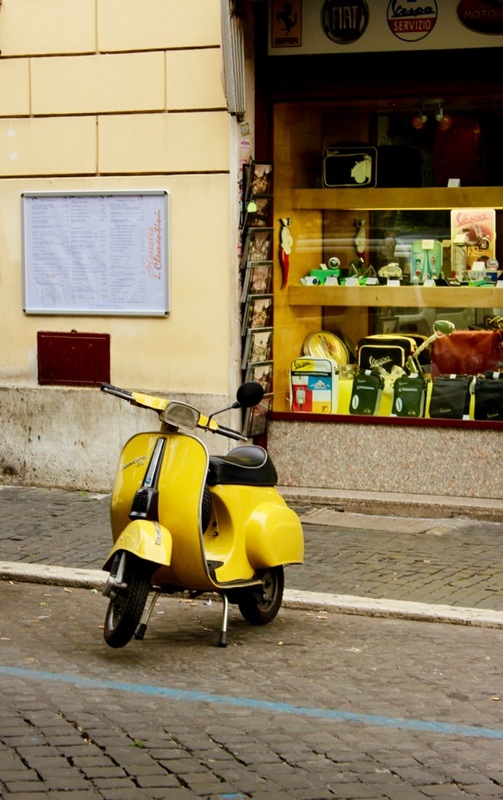 Don’t leave home without checking out these Top Rome Italy Travel Tips! Traveling to Rome, Italy with my family was my favorite trip ever!! 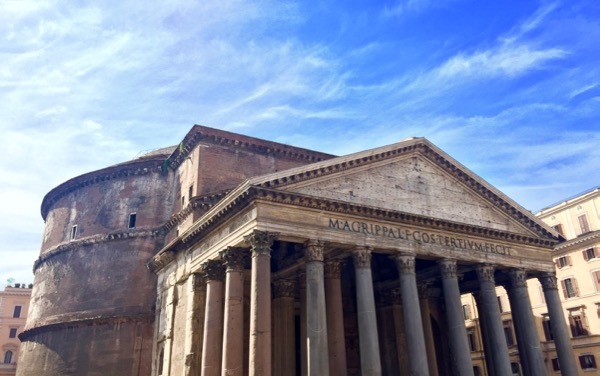 We loved seeing the well preserved ancient Roman history, exploring early Christian history, eating our fill of delicious Italian food, meeting so many wonderful people… and of course… the coffee and gelato were the best I’d ever had! 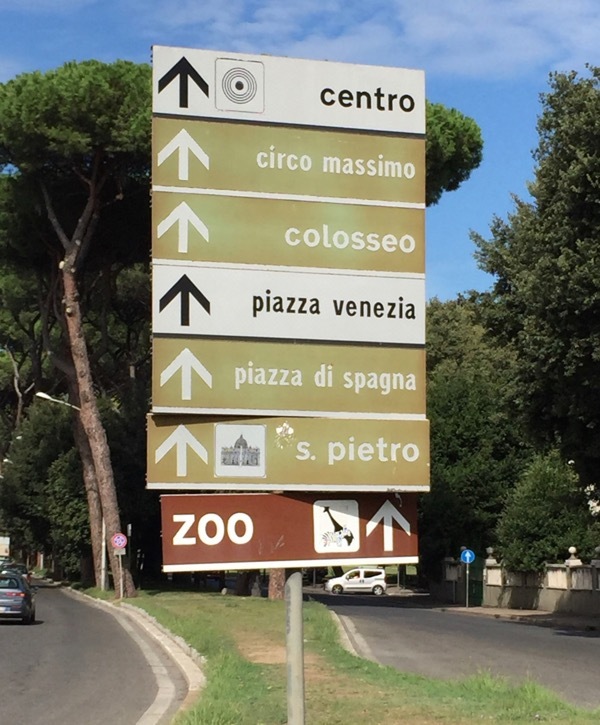 So if you’re looking for some Top Rome Italy Travel Tips for visiting Rome on a Budget, and what to know before you go, you’ve just hit the jackpot! Want a romantic getaway? How about enjoying the world’s best Gelato and Coffee, beautiful architecture and romantic pasta dinners? Here are my family tested insider tricks and Top Rome Italy Travel Tips for spending an amazing week in Rome! 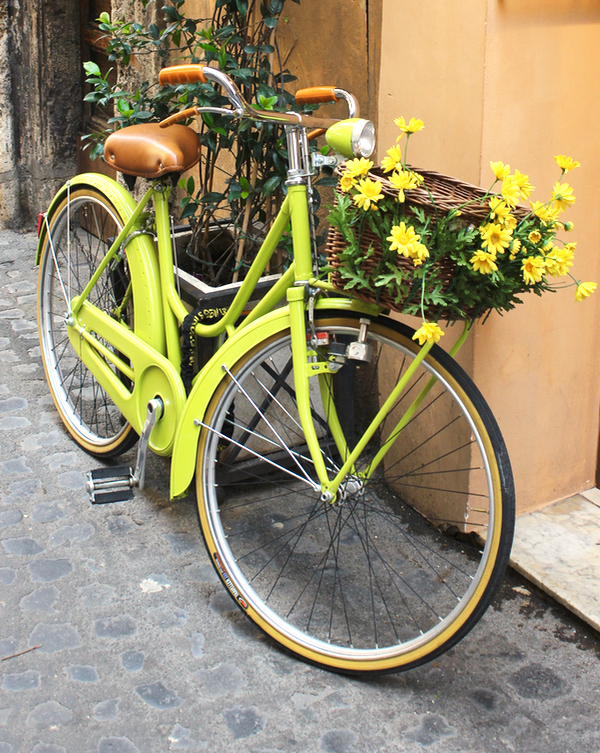 Are you ready to go explore Italy?? 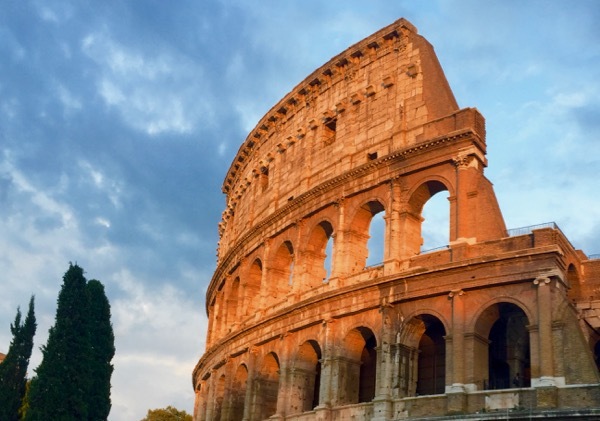 Planning Your Trip to Rome? 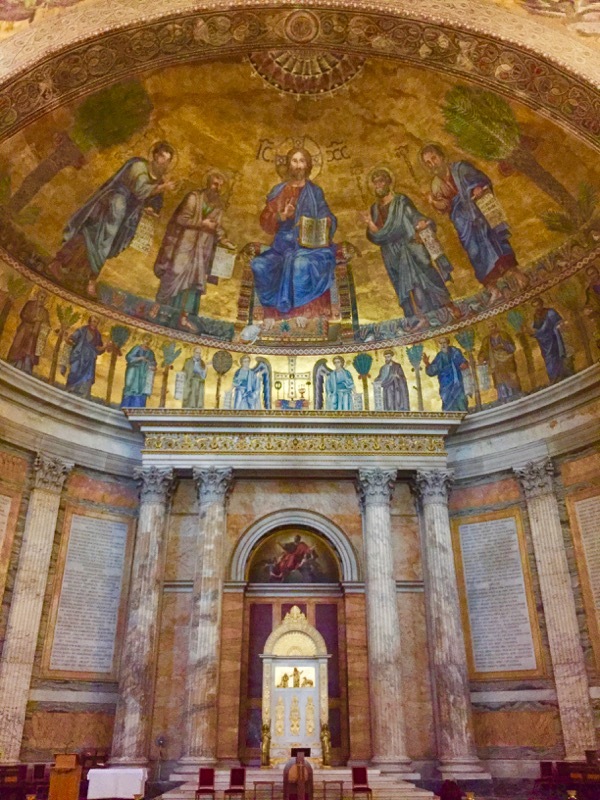 Visiting the Vatican is an absolute must… it’s AMAZING!!! 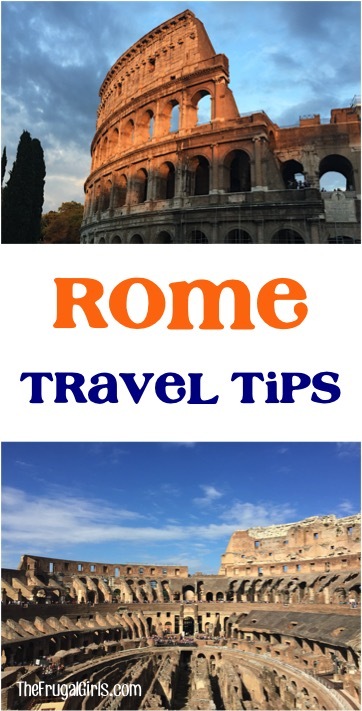 It’s a must for any list of Top Rome Italy Travel Tips. Be sure to book tickets online through the Vatican ahead of time to ensure you don’t have to wait in long ticket lines. 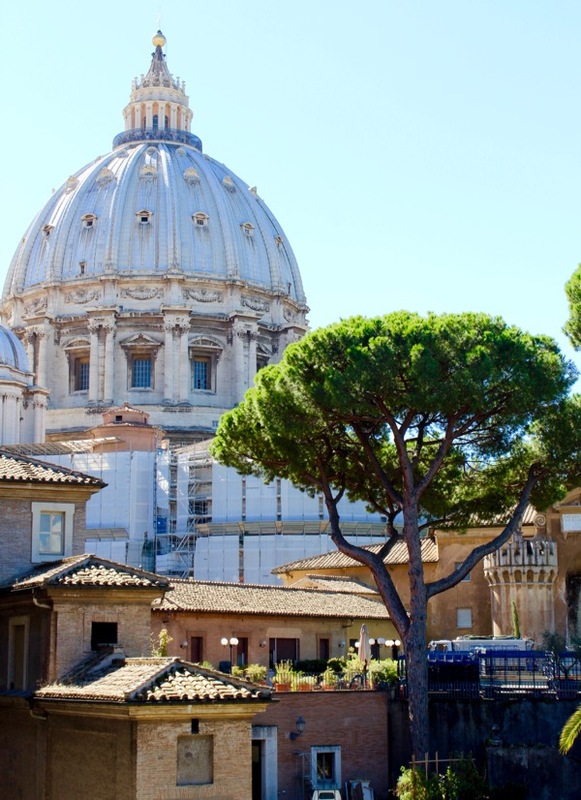 One ticket will gain you entry to the Vatican Museums and the famous Sistine Chapel, featuring works by Michelangelo. 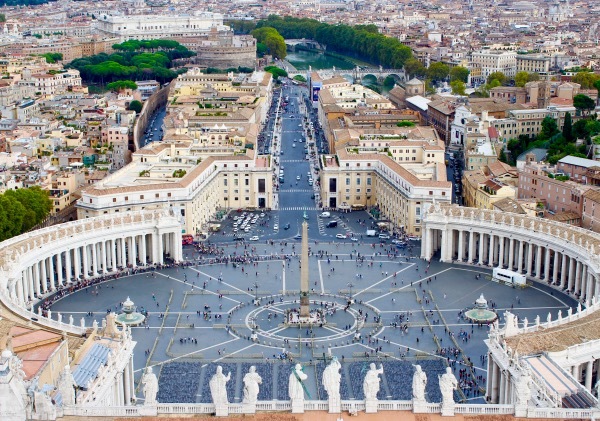 Another ticket will gain you admittance to St. Peters Basilica, where the apostle Peter is buried. We also purchased a separate ticket to climb the stairs to the top of the Dome, a lot of climbing, but the views of the city and St. Peter’s Square were amazing. 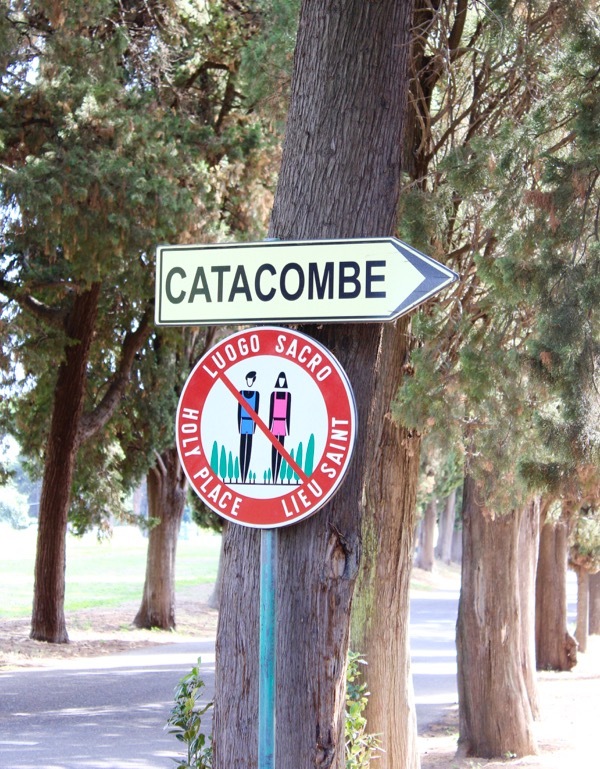 This is probably the thing that first comes to many peoples minds when they think of Rome. I recommend booking tickets online to avoid the ticket lines. And it is definitely worth going at sunset to catch some great outside shots. 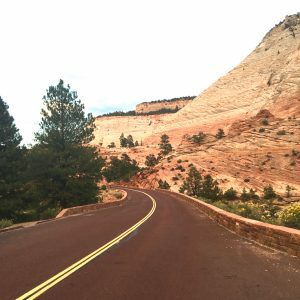 These likely will be some of your favorite photos from your trip! 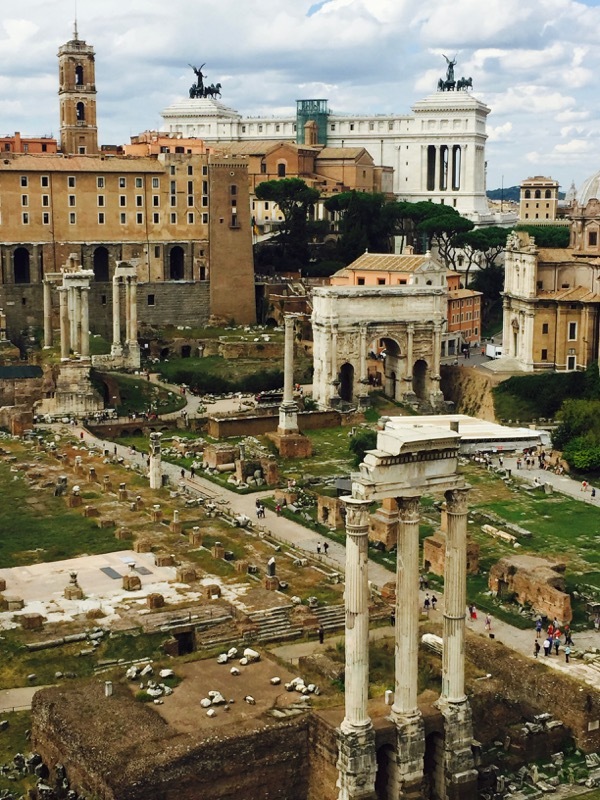 Adjacent to the Coliseum is the Roman Forum and Palatine Hill, where you will find an abundance of ancient Rome to explore. 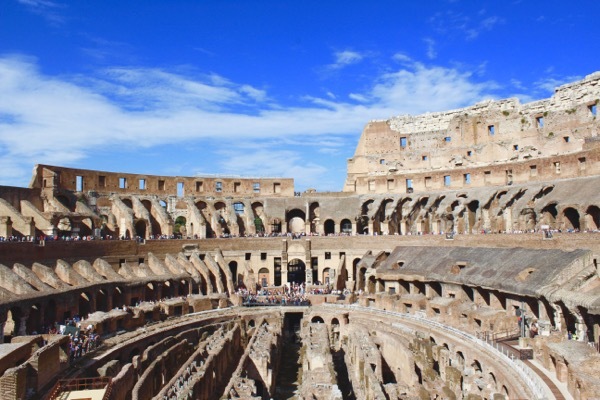 Your ticket to the Coliseum will also gain you a one-time admittance to the Forum and Palatine Hill. I recommend taking water and sunscreen in the summer, and definitely wear your good walking shoes as the paths are a bit bumpy after 2000 years of use! I have a confession to make, we actually visited the Pantheon 5 times while in Rome, including once to watch the rain fall inside (through a hole in the center of the roof that acts as a compression ring for the concrete dome)!! We really fell in love with this ancient 2000 year old concrete dome, a true architectural phenomena. What once was built as a temple for all of the Roman gods is now a Catholic church. 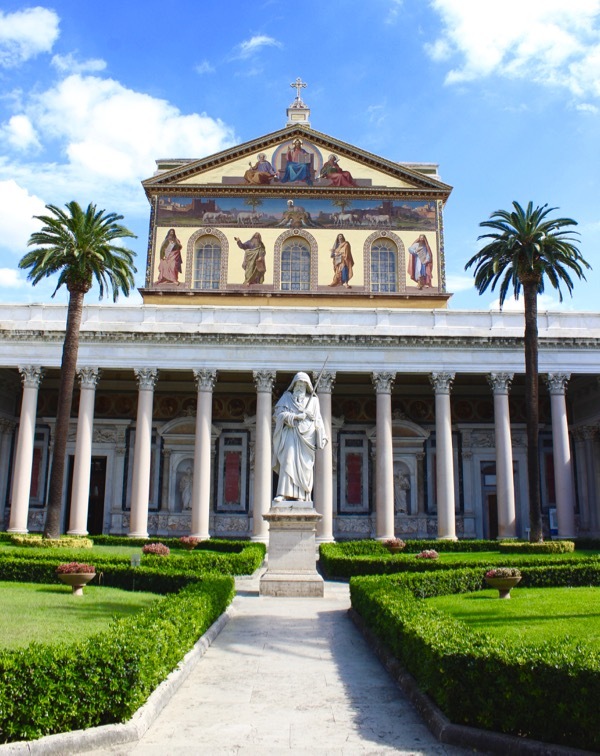 As with most churches in Rome, you can visit Free all days except Sunday, when Mass is held. 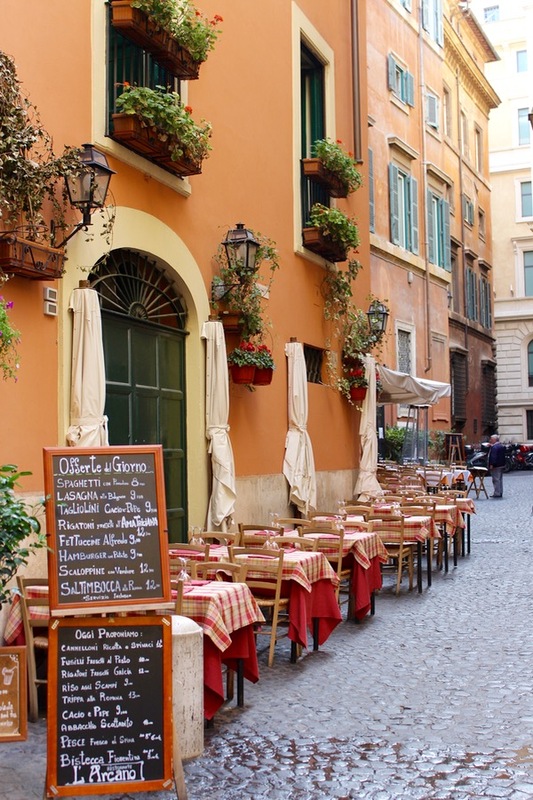 There are also an abundance of great Coffee Bars and Restaurants in the blocks surrounding the Pantheon. 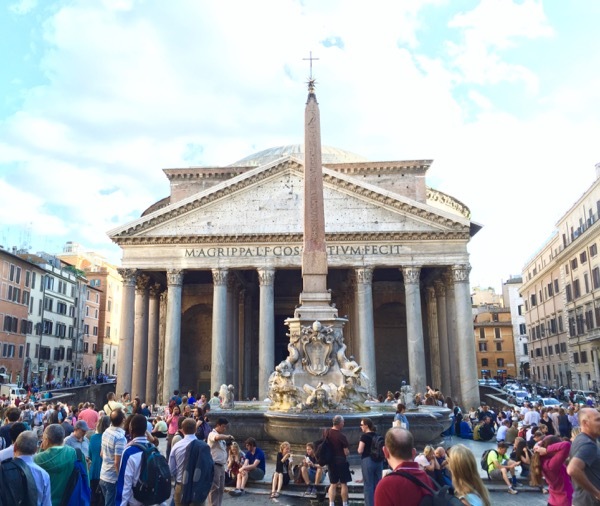 My favorite restaurant near the Pantheon… with the best pasta I’ve ever had in my life! 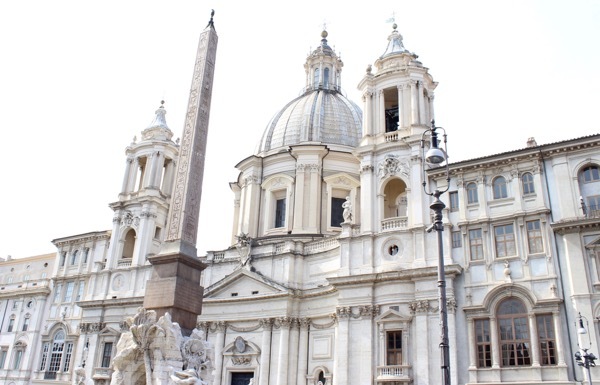 Just a short distance to the east of the Pantheon is Piazza Navona. This square features 3 beautiful fountains and many restaurants. What once was one of many Roman arenas is now filled with local artisans and a church dedicated to a young Christian Martyr. I could sit by these fountains all day long, they were all so beautiful! 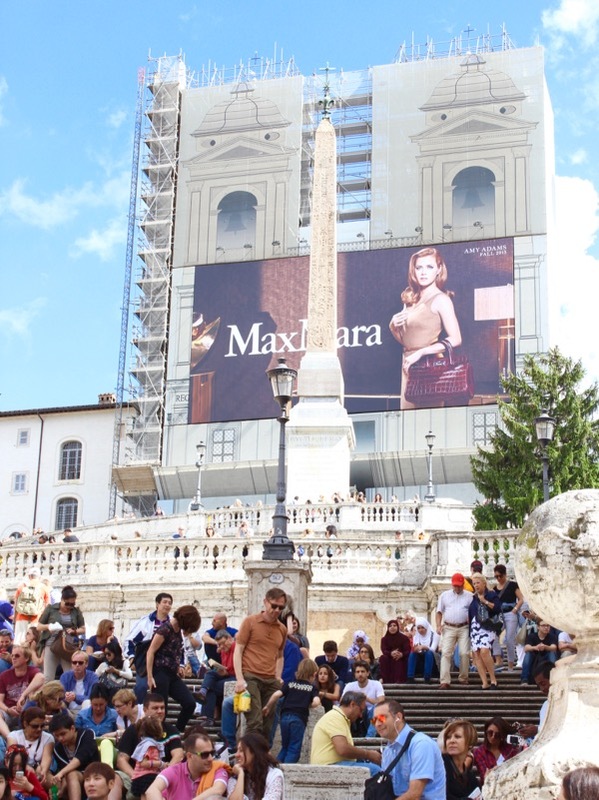 Of course the Spanish Steps were under renovation while we visited… but did you catch Amy Adams in the MaxMara ad?? 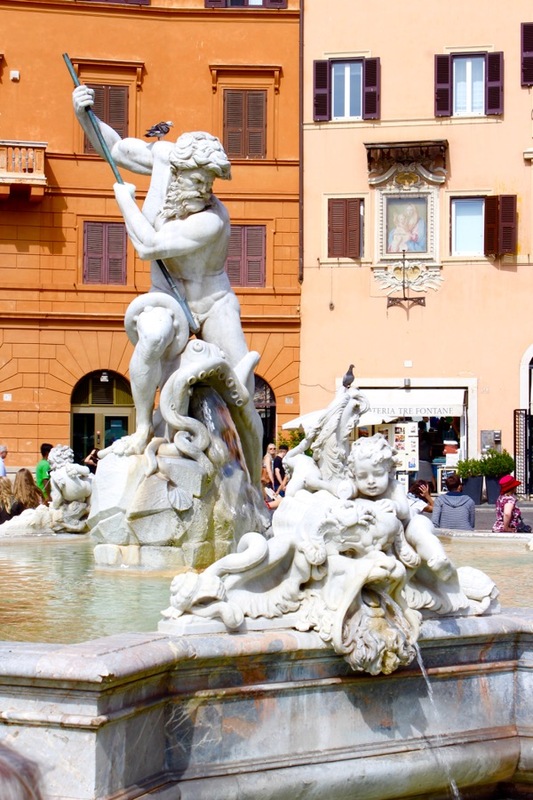 In a city known for it’s many beautiful fountains, the Trevi Fountain is the most beautiful and extravagant fountain we encountered… and that despite the fact it was under extensive renovations at the time of our visit! 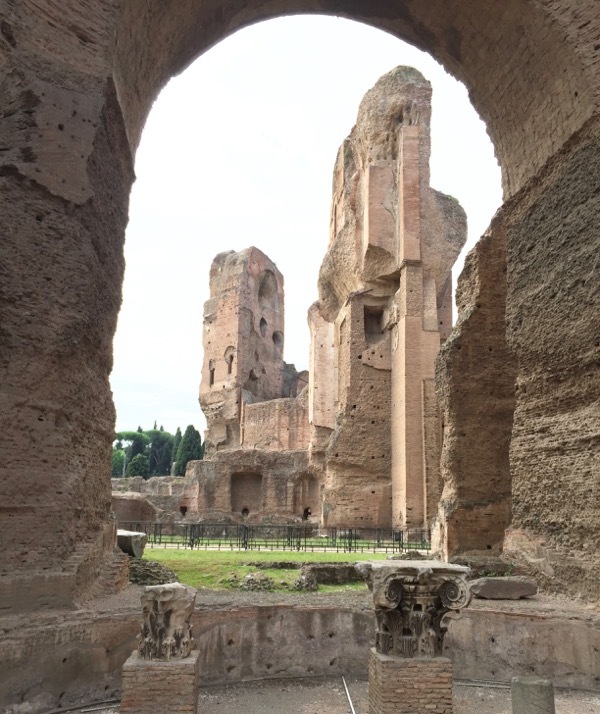 Imagine the Roman Bath at Caracalla completed around 200 AD with 3000 people… On second thought, just enjoy the beautifully intact mosaics and buildings! Take a tour through ancient tombs of 7 early Christian Popes and many Christian Martyrs. Romans required burials outside the city walls and so early Christians, which did not practice cremation like the Romans, chose to be buried in a series of Catacombes, with St. Callixtus being the most extensive. 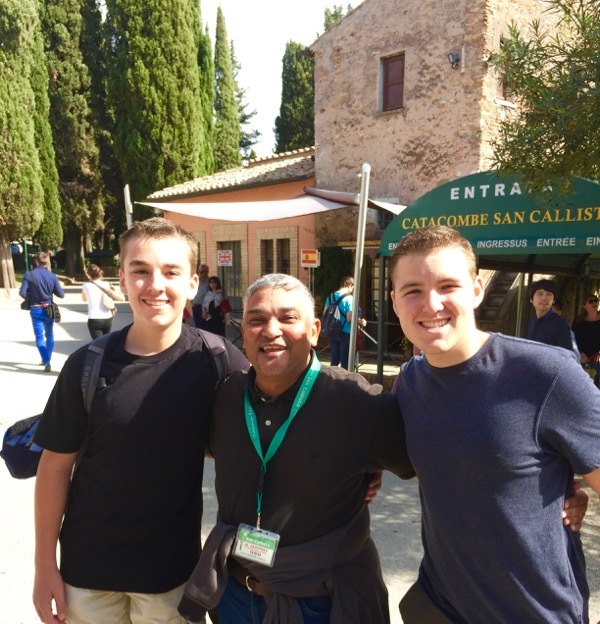 The man in the picture with my boys was the French speaking guide that did our “English” speaking tour. He was absolutely hilarious… an amazing man. We kept meeting so many incredible people. This is the church where the Apostle Paul, author of a large portion of the New Testament portion of the Bible is buried. The church also displays the chains that held Paul captive in his Roman dungeon before his execution. It was a sobering experience to visit such a place. Saint Clement was the third Pope and this church was built in his honor. The church was originally built around 400 AD over an old Roman temple. The church was damaged and rebuilt during Medieval times around 1100 AD. When you venture into this 900 year old church you have only just begun. After buying tickets, you descend stairs down to the original 400 AD church, then descend further down to a 100 AD Roman Temple, where you can touch the still flowing waters from the Roman Aquaduct! Excuse me! –> Mi scusi! Do you speak English? –> Parli Inglese? How much does it cost? –> Quanto costa? Do you accept credit cards? –> Accettate carte di credito? We also used the Google Translate App on our smartphone. By using the camera option, it could translate menus and signs for us! Sweet! 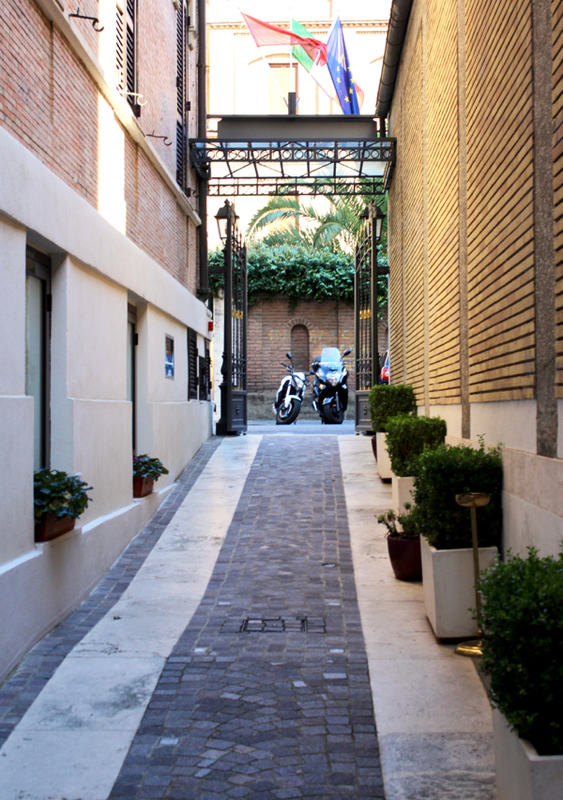 –> Where to Stay in Rome on a Budget: I used Choice Privilege points for Free Hotel Nights and stayed at the Clarion Principessa Isabela Hotel. 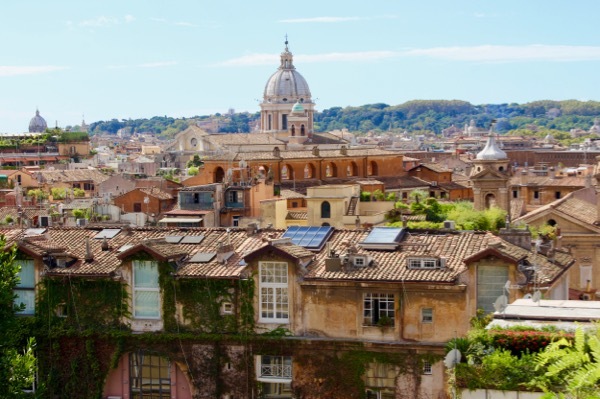 Note: all Hotels in Rome are required to charge an additional daily 6 Euro per person tax. Our stay at the Clarion Principessa Isabela ended up being an amazing deal… and we ended up getting 8 FREE Nights!! Another one of my favorite tricks is to use Free Travel Gift Cards to score free nights! –> Traveling with a Cell Phone in Europe: Before you leave for Italy, call your cell phone carrier to find out what your international fees will be. We added a 1-month international phone/text/data package with Verizon just for our trip, then cancelled it as soon as we got back home. It was a lifesaver to have that plan when we were there! –> Charging Your Phone in Italy: Whenever traveling international, be sure to bring an Italy Power Adapter to recharge your phones, tablets, laptops, cameras, etc. You’ll be SO thankful you did! 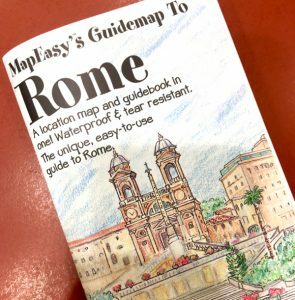 –> Maps: Being that cell coverage can be a bit spotty and can cut in and out in Rome, having a physical Map of Rome was a total lifesaver for us! Cell phone coverage was sometimes spotty. We also were using our iPhones to take pictures all day long, so battery life was an issue. Having a paper map made navigating possible without having to always rely on our phone. –> Coffee: Be sure to stop by the Coffee “Bars” around town. If you stand at the bar, the price will be about half. I recommend starting with a “Caffe Latte” or “Cappuccino.” I think coffee heaven is in Rome! –> Water: Save your Water Bottles and fill them for free at the many fountains around town. 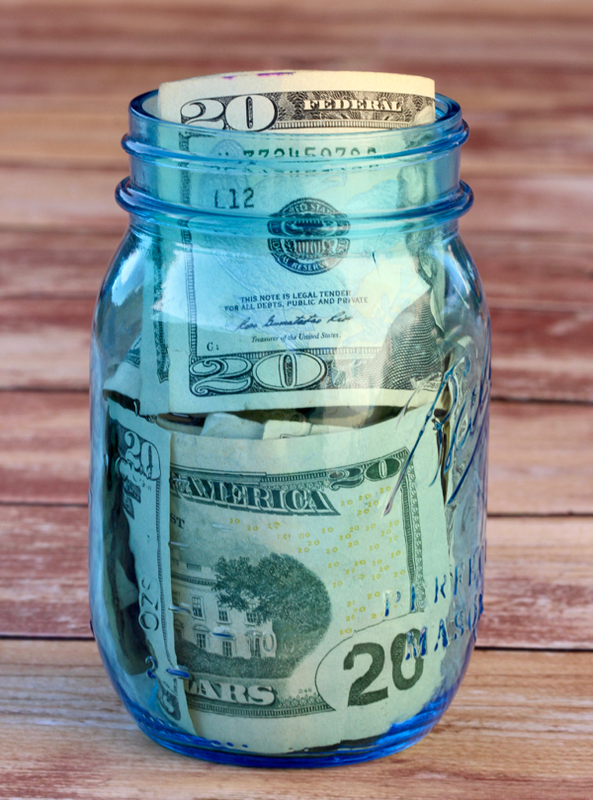 It is an easy way to always have water handy and to save a little money! –> Using a Credit Card: Check with your Credit Card company before travelling to see what fees they charge. 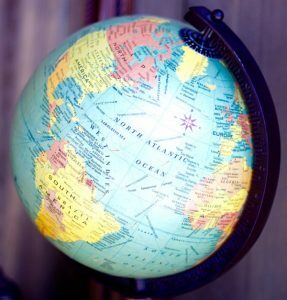 Save money when you use a Credit Card that does not charge the traditional 3% foreign exchange transaction fee. –> Currency Exchange: You can usually get some of the best available exchange rates by withdrawing funds at a cash machine at the airport upon arrival in Italy. Traveling with Baby? Don’t leave home without these Baby Travel Gear Essentials! 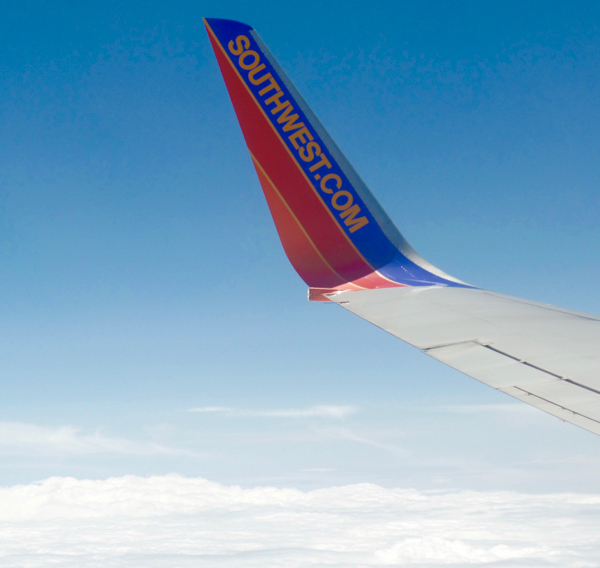 These must-have items will make traveling with Baby and the long flight to Rome so much easier! Are you ready to get packing for Rome? Make sure you’ve got some good sturdy luggage with wheels to take along! 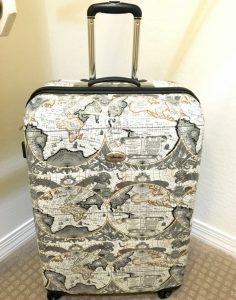 Fun and unique prints on luggage are always great, because it always seems like every suitcase at the airport or hotel is black, right? Someone will be a lot less likely to walk off with your luggage when it’s got a unique color or print! Be sure to leave extra room in your suitcase to bring home some souvenirs! Every great trip starts with a large purse, right? I have one large purse I save just for trips, and it’s perfect for storing my Kindle, Maps, Snacks, Passport, and even my Camera! I never leave on a trip without it, and am always grateful for that extra space! Keep that money and ID close and safe at all times with a Money Belt! I like the ones with the RFID blocking for extra security! 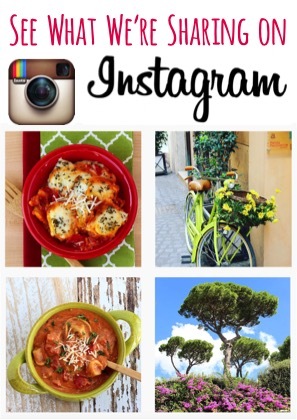 So… have YOU ever been to Rome, Italy before? What are some of your favorite Top Rome Italy Travel Tips for places to see, food to eat, and things to do, etc? 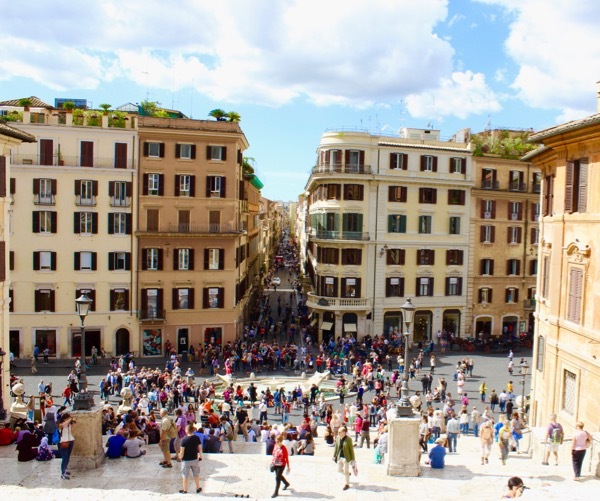 There are so many reasons to visit Italy, Thanks for sharing the tips. I agree, Stela… Italy is a land of beauty for sure! Rome is always there in my bucket list. eager to visit there soon. Thank you for sharing such informative article. You’re very welcome, Sarah… enjoy your Italian vacation! 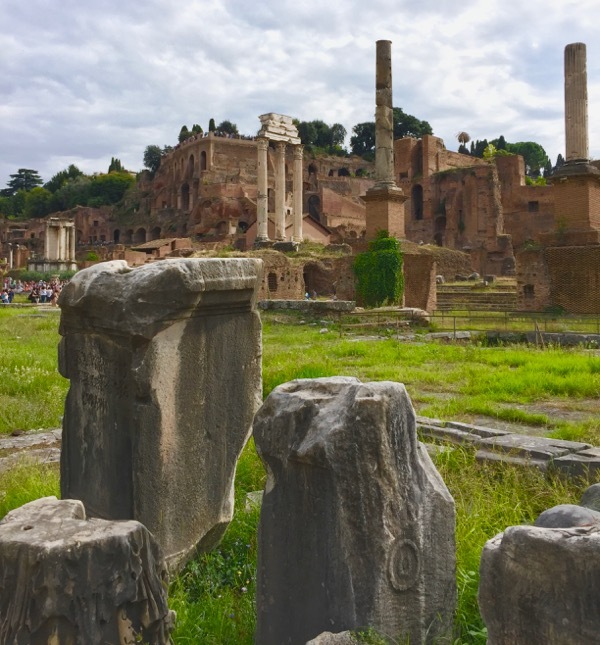 Palatine Hill is well-known for being the site of the first settlement in Rome, dating all the way back to the 8th century BC. 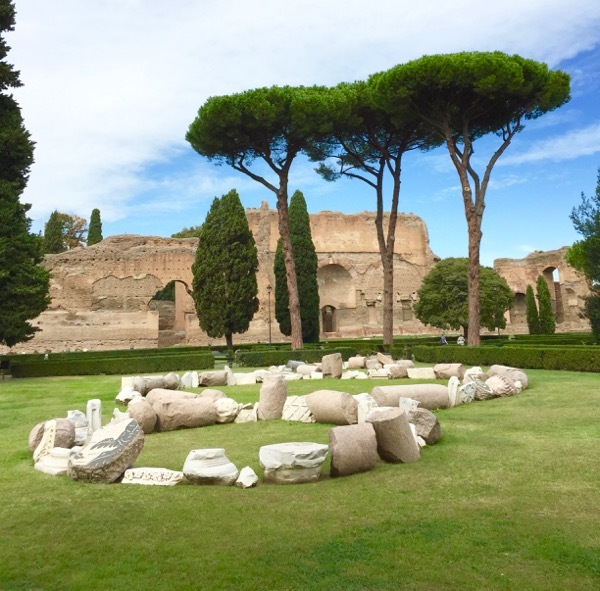 The Roman Forum is a large plaza beneath the hill which was once the center of daily life in Rome and housed some of the city’s most important buildings and structures. Hi, was very interesting reading your blog, lots of good tips, thanks very much, my friend and myself travelling to Italy this December. Can you maybe tell me exactly which type of plug/adapter one needs in Italy? Is it the Two prong? I have tried googling it but it shows me a three prong with all the prongs in a line. I remember from my visit to Rome that depending on where you stay, you can use the 2 prong (http://amzn.to/2xTTH72) or the 3 prong (http://amzn.to/2xUM5AX), so I recommend that you take both just to be safe. I have always wanted to visit Italy, and Rome is definitely on my places to go list. There’s a lot of places I did not know about that you mentioned, and I’m going to have to add them to my ‘must see’ list! Thank you for sharing your tips!